Warning: This Strategy of the Week contains graphic descriptions that might be unsettling. The smell of Fall is in the air. There’s nothing like it. The sun is bright, and the brown, orange, and yellow leaves are falling. It’s 3:30 on a Saturday afternoon and you’re driving home from your granddaughter’s soccer game so proud of her for scoring the winning goal. There’s nothing quite like the screams of an excited group of 9 year old girls. As you’re driving along, you have the Notre Dame football game playing on your radio, but you’re not listening very carefully because you’re still caught up in the buzz of your granddaughter’s soccer game and the beautiful Fall foliage. Pulling into your neighborhood, you catch the tail end of a breaking news sports update about the Patriots. Unable to hear it clearly, you reach down to turn up the volume so you can hear the announcement more clearly. At that very same instant, some neighborhood children are playing soccer in their yard. As your car approaches, the soccer ball rolls out into the middle of the street where you’re driving and one of the kids chases after it in full speed forgetting to look both ways to see if a car is coming. Just as you’re reaching for the volume knob on your radio, in the corner of your eye, you see him run out from behind that parked car, so you instinctively jam on your brakes. But, it’s too late. You hear the sound you prayed you’d never hear, and he’s now lying on the ground motionless in front of your car. As the paramedics arrive, the good news is the little boy is still breathing. The bad news is that he’s not moving as they struggle to keep his body still and place him on the stretcher. After what seems like an eternity, he’s taken in the ambulance to the hospital and you are left there to talk with the police about what just happened. Two detectives are snapping pictures of the car and measuring your skid marks in the street. A few weeks have now passed. The shock of what happened has not gone away, but it has come into perspective. The boy has just returned home from the hospital. Several bones in his body were broken, and after 3 separate surgeries, the doctors are confident that he’ll be able to walk just fine after a good 6 months of physical therapy. However, the permanent damage done to his right leg may prevent him from playing competitive sports for the rest of his life. As if dealing with the emotional torment of accidentally injuring a young boy wasn’t enough, now comes the worst part. The police reports come back concluding that you were driving 36 miles an hour in a 30 mile an hour zone. And, because of that, you’re considered to be 100% at fault for negligence. You didn’t mean to hit the child. You’re a careful driver. You’ve never had an accident in your life. Your driving record proves it. But, all of that doesn’t matter right now because unfortunately, you’re going to be at the wrong end of a very expensive lawsuit. You can expect that within a few weeks, you will be summoned by an aggressive attorney requesting, among other things, a listing of all your income and assets. And, the only form of compensation the attorney will get from the case will be from receiving a percentage of the damages collected from you. And, it probably won’t be a small number. The question for you is where will this money come from to pay for you to hire an attorney and to pay the eventual damages that will be brought against you? It’s taken 40 years to build up enough money for you to be able to retire. You’ve given up so much in order to save for your future. And, now, you’re finally reaping the rewards of your lifetime of hard work and disciplined savings. 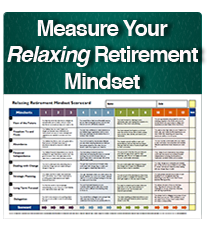 You’re retired and enjoying life like never before. But now, everything you’ve worked your entire lifetime to save could be taken from you in an instant. This is a horrible story that I hope never happens to you. And, I would prefer not to have to share it with you. However, as you can see, it can happen to anybody, so I’m telling it to you to motivate you to protect yourself. The strategy and solution in most circumstances is to have the highest liability limits on your auto insurance possible. But, even more importantly, because potential damages could easily exceed the limits on your auto insurance, is to have a separate Personal Catastrophe Insurance Policy, otherwise known as an “Umbrella” Policy, also known in small circles as Lawsuit Insurance. In most cases, if you have a quality policy with a quality insurance company, the combination of these 2 policies can protect you from the financial devastation of this horrible occurrence. It won’t help in dealing with the emotional toll of injuring someone, but it can save you from the financial fallout, and preserve what you’ve taken your entire lifetime to accumulate. And, the good news is that it’s inexpensive. Each million dollars of umbrella liability coverage costs only about $250 per year. That’s a small price to pay for the peace of mind it can provide for you in case this ever happened to you. Visit with your property and casualty insurance agent today and coordinate your homeowners, auto, and umbrella liability insurance. Discuss precisely what each policy covers and what it doesn’t. This may take only 30 minutes but it could turn out to be the most important 30 minutes you’ve ever spent on your finances.